This article briefly describes how nanomaterials and nanotechnology can be useful in the strategic area of camouflage and stealth technology. The section on threat perception briefly describes about various sensors and platforms from where those sensors can be operated for the purpose of surveillance, detection and identification of military objects. Prominent nanomaterials, which can find applications in futuristic stealth have been discussed. Military organizations around the world, especially in the U.S., have been quicker than most to appreciate the potential of nanotechnology. More money is being spent on nanotechnology research for military applications than for any other area. Public releases about military nanotechnology research and development activities are full about sensors, batteries, wound care, filtration systems, smart fabrics, and lighter, stronger, heat-resistant nanocomposite materials etc. Naturally, nanomaterial safety has become an important issue for military organizations as well. 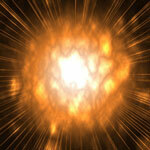 Will nanotechnology impact future global security? According to Jayshree Pandya, such technology is indeed about to change large-scale security dynamics, defense policies and possibly even the global balance of power. All states are eager to benefit from nanoscience, nano-engineering and nanotechnology initiatives - either directly or indirectly. While most states do not yet have dedicated nano-defense initiatives, rapid advances within the aforementioned fields are exciting many and becoming a cause of concern for the rest. 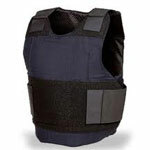 Bullet-proof vests are basically made from high stiffness and toughness, woven or laminated, polymeric fibers stacked in a number of layers. Upon impact of the striking bullet, the fabric material absorbs the energy by stretching of the fibers and the stiff fibers ensure that the load is dispersed over a large area throughout the material. Carbon nanotube is an ideal candidate material for bulletproof vests due to its unique combination of exceptionally high elastic modulus and high yield strain. If one compares these values with those for other fibers suitable for ballistic applications, the enormous potential of CNTs as a candidate material for bullet-proof armor system is quite evident. When the U.S. military talks about space superiority it defines this as the degree of control necessary to employ, maneuver, and engage space forces while denying the same capability to an adversary. 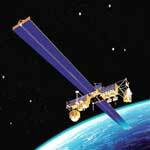 Although 'space forces' has a Star Wars ring to it, the term basically refers to satellites and these satellites - at least as far as unclassified information goes - do not carry weapons (yet); although the public website of the U.S. Air Force Space Command in listing its capabilities mentions the ability to conduct defensive and offensive counterspace operations, and space environment assessments. The main functions of the military's space capabilities today are information related - weather, communications, surveillance, reconnaissance, navigation and missile warning capabilities - and has become critical to many military operations. As other military powers build up their space programs, defensive and offensive space capabilities become more of an issue for war planers - something they call counterspace activities. Given past revelations of previously top secret military technology programs there is a good chance that some 'black' projects somehwere tinker with advanced nanotechnology applications. But, you keepers of military secrets, relax. This Spotlight is not a piece of investigative journalism into the world of military black projects. It is the first in a series of eight scenarios that have just been published by the Center for Responsible Nanotechnology (CRN) - and we here at Nanowerk have posted the entire nanotechnology scenario project here. CRN's scenarios depict various versions of a near-future world into which transformative manufacturing concepts may emerge. Across eight separate storylines, an international team of policy, technology, and economic specialists organized by CRN imagined in detail a range of plausible, challenging events - from pandemics to climate crises to international conflicts - to see how they might affect the development of advanced nanotechnology over the next 15 years. Please keep in mind that this and the others seven scenarios are NOT predictions but fiction. CRN intends the scenarios to provide a springboard for discussion of molecular manufacturing policies and societal responses. While each scenario can be understood individually, the real value of the process comes from the comparison of multiple scenarios. A strategic response that appears robust in one scenario may be dangerous in another; an organization, community, or polity using these scenarios to consider how to handle the emergence of molecular manufacturing should strive for responses that are viable across multiple scenarios. Talking about the threat of terrorists using bioweapons is a great tool for scaring people. 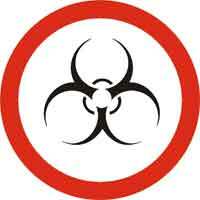 Using any kind of pathogen (bacterium, virus or other disease-causing organism) as a weapon certainly is a terrifying scenario; think about the near-panic the 2001 anthrax attacks in the United States caused. Letters containing anthrax spores were mailed to several news media offices and two U.S. Senators, killing five people and infecting 17 others. Can you image what panic would result from an attack that kills 5,000 people and causes 76 million illnesses? Well, as a matter of fact, foodborne diseases cause approximately 76 million illnesses, 325,000 hospitalizations, and 5,000 deaths in the United States each year. Known pathogens account for an estimated 14 million illnesses, 60,000 hospitalizations, and 1,800 deaths. The Food and Drug Administration's 2005 Food Code states that the estimated cost of foodborne illness is $10-$83 billion annually. So while the U.S. spends billions of dollars securing its borders, it loses many more billions, not to mention thousands of lives, every year by not being able to keep its spinach and hamburgers safe. Apparently, talking about terrorism is much better political theater (and makes for catchier Nanowerk Spotlight titles) than discussing E. coli outbreaks. However, be it because of potential terrorists or actual contaminated food, research in microbial detection and decontamination processes increased significantly over the past years. Traditional methods of identifying and subsequently removing a pathogen are slow and cumbersome. Now, using nanotechnology, researchers have designed a novel biosensing system that can identify E. coli in just five minutes and remove up to 88% of the target bacteria.